In the unrefined oil there exist impurities, colloids, pigments, fatty acids and some other matters, which must be removed before edible application.High-quality cooking oil (salad oil) can be obtained after the processes of degumming, refining with alkali, bleaching (dewaxing by winterization process) and deodorizing. 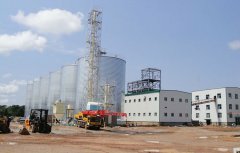 The crude oil, which has been extracted from soaking or pressing process, must by treated by the process of degumming and acid removing in order to remove phosphatide and fatty acids. Because the phosphatide has the water affinity, therefore the hydration process is to be used for degumming. Oil containing fatty acid is mixed mechanically with a slight excess of alkali to react with fatty acids present to form soaps.The mixture is centrifuged to separate oil from soapstock. 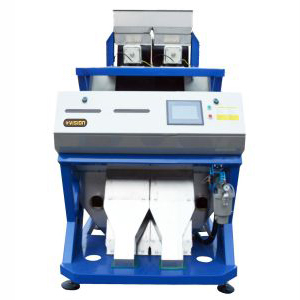 After washing with water, the water is separated from the oil in a second centrifuge.The process is good for simple operation, lower energy consumption, and fine product quality. 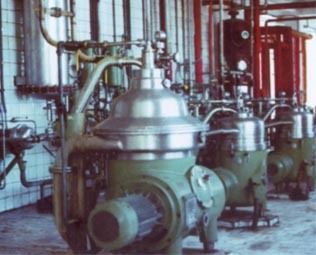 The alkali-refined oils are bleached by the use of a natural earth, such as hydrated aluminum silicate.The bleaching earth is mixed with a dried and deaerated oil.The slurry is passed into an vacuum chamber to spray the oil-clay mixture and to remove water and oil from the clay under the vacuum condition continuously. 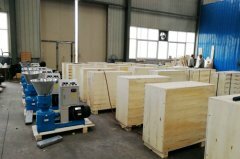 The oil is pumped through a automatic closed filter to remove clay and the bleached oil is ready.By using this technology and equipment less natural earth needed and good bleaching effect is achieved.The automatic control devices are used at key processes. 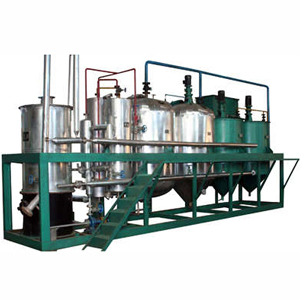 Deodorization removes most of the volatile compounds affecting the initial taste and odor of the oil by passing steam through the heated oil under diminished pressure.Two kinds of equipments can be adopted, i.e.,layer-plated column or packed column.We have adopted packed column for the purpose of deodorization.The product achieves the national standard.